Help me to choose junghans or junkers ??? Thread: Help me to choose junghans or junkers ??? does junghans deserve such price ?? does junkers have lower quality for a lower price ?? will i regret to buy ? Re: Help me to choose junghans or junkers ??? There has been a fairly recent post from a member trying to decide between a Junkers Bauhaus and a Junghans Max Bill. He went with the Junkers and then proceeded to post pics of how the hands didn't hit the markers properly. 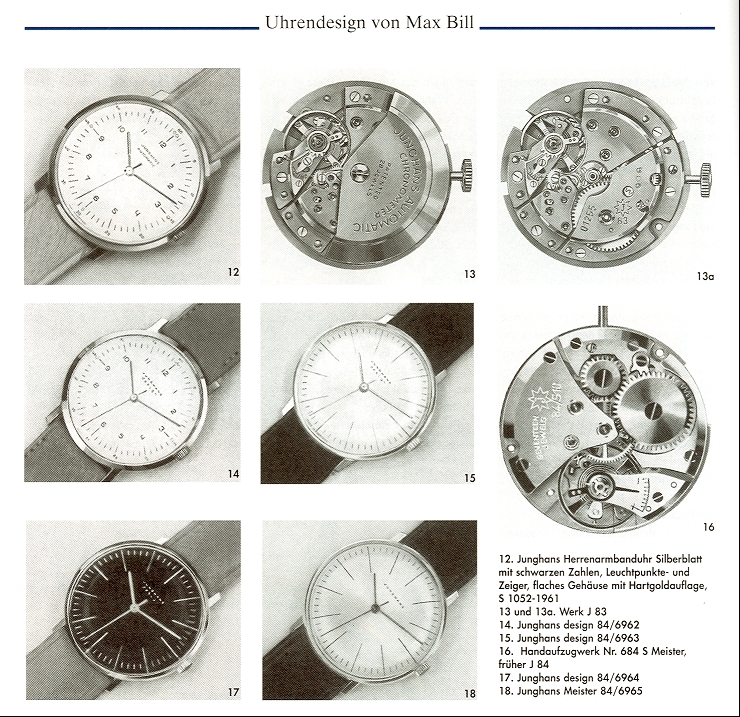 Junghans was at one time the largest manufacturer of personal timepieces in the world. They have a history that is second to none. Is the Junghans worth the extra money? YES as far as I'm concerned. Not only for the better quality, but the direct association with Max Bill is there as well. Pharaoh and stefpix like this. Both very nice brands in what they do, but in slightly different leagues. Last edited by watchma; December 5th, 2013 at 13:37. Pharaoh and Der Amf like this. but it was for 6046 model( the quartz version ) right ?? Last edited by Pharaoh; December 5th, 2013 at 13:43. Might have been the quartz version, I can't remember. Regardless of which model Junkers it was, there's no way I'd go for a Junkers when I could get a Junghans. As already mentioned, a Junghans is in a totally different league in so many ways...real lineage of Max Bill design and not just a wanna-be, and superior quality. As I stated, for ME it's worth the extra money without question. Last edited by CM HUNTER; December 5th, 2013 at 18:43. One of the watches shown is a pale imitation. The other one is produced since the 60s. Jumping on bandwagons by Junkers. However, the design sells. The historical link can only be claimed by Junghans. Max Bill was tied to Junghans for some decades and so the Max Bill clock dial design advected the first Max Bill wrist watch by Junghans in 1961. The 1961 watch was a hw one. Last edited by stuffler,mike; December 6th, 2013 at 13:42. Lencoth and stefpix like this. If however you're not looking for the original and you simply like the general looks/aesthetics of both , then how about one from the sister brand of Junkers: Zeppelin ? but i guess junkers is better than zeiplen right ? and also do you know negative aspects of the hand wind versions ?? Last edited by Pharaoh; December 5th, 2013 at 19:56. Last edited by watchma; December 5th, 2013 at 19:53.